welcomed 14 new members Dec. 5 at their annual Christmas Luncheon. El Toyon Chapter, Daughters of the American Revolution, welcomed 14 new members Dec. 5 at their annual Christmas Luncheon. Each new member was presented with flowers. The National Society Daughters of the American Revolution was founded in 1890 to promote patriotism, preserve American history and support better education for our nation’s children. Its members are descended from the patriots who won American independence during the Revolutionary War. With more than 165,000 members in approximately 3,000 chapters worldwide, DAR is one of the world’s largest and most active service organizations. Information:DAR.org. Click below to see the monthly rota. Look around you over the next few weeks. You will see lights everywhere; on houses, on trees, candles in windows. Little lights will be everywhere. The message is clear. Your candle may seem small against the darkness, but light it anyway. And do that precisely when the darkness seems to be winning and life appears too overwhelming. The candles on the Advent wreath remind us that Christ does not just call us to see the light; we are also called to be the light. The darkness will only get greater if we fail to be the light of Jesus right here and right now. There is darkness everywhere. There is homelessness, hunger, human trafficking and suffering. But Jesus promises us that the darkness can be overcome. We are often paralyzed and frightened by the darkness. Yet, Jesus calls us to not only to see the light but to be the light of the world. He says in Matthew 5:14, ”You are the light of the world.” And he meant it. So now, it is time to light another candle. This season of Advent leads to the birth of the tiny One who is, after all, the Light of the World. 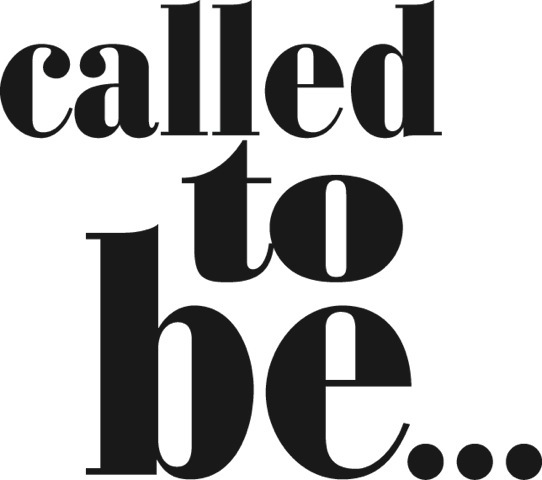 In Advent I believe that we are “Called to be…” the light. Advent is frequently described as a season of joy, expectation, and waiting. In the midst of this busy season, the Episcopal Church Foundation (ECF) has the tools and resources to keep your congregation running smoothly. This Advent, ECF will be offering tools and webinars on a wide variety of financial and leadership topics from different parts of the Church. Clickhere. Permission is granted to reproduce and distribute the calendar and music for the 2015 Advent season. 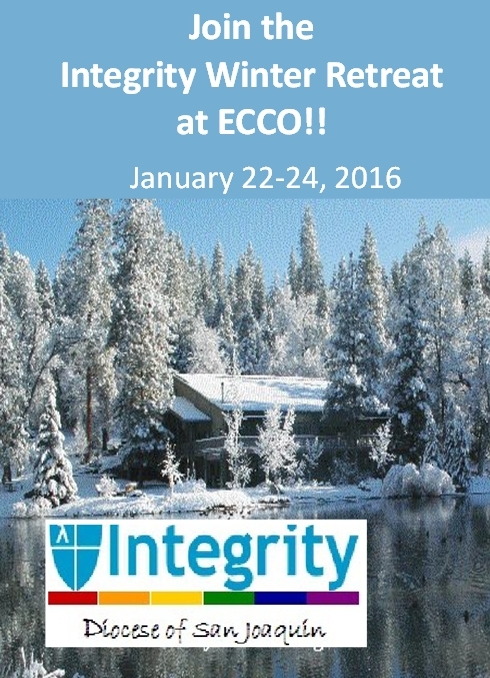 Friday, January 22nd – We gather in the evening for registration, introductions, fellowship, and snacks as we arrive at ECCO in Oakhurst, south of Yosemite. Sunday, January 24th – After morning Eucharist with Bishop David and free time, we enjoy lunch together before departure. Registration Deadline – Dec. 26th. Canon Randy Kimmler returns as our 2016 Retreat Leader. Even before the end of the 2015 gathering, it was consensus that we wanted to have Randy return to lead our next retreat in 2016! 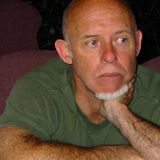 emergent progressive Christian community that is being studied by many Episcopal dioceses. “It’s not a church. It’s not a mission. It’s an anomaly and dioceses around the country are trying to figure out what to do with groups like us that are springing up all over the place.” Randy attends St. John’s ProCathedral in Los Angeles, serves on the Bishop’s Commission on LGBT Ministries and has been recognized by Bishop Jon Bruno for his significant service to the wider church. Friendly reminder to all clergy: December is the month that you should be thinking about having a housing allowance passed by your Vestry or Bishop’s committee for tax purposes in 2016. Clergy Retreat December 15-17, 2015- Register Now! Click here for information about retreat, registration, and speaker. Canon Kate Cullinane has lost a black Book of Common Prayer/Hymnal someplace during her travels to various congregations throughout the diocese. Her name is imprinted with gold lettering on the front cover. Please look for it and if you find it, please let her know at kcullinane@diosanjoaquin.org. Thank you. Contact your clergy or office for more details! Please consider a year end donation for this very important program! 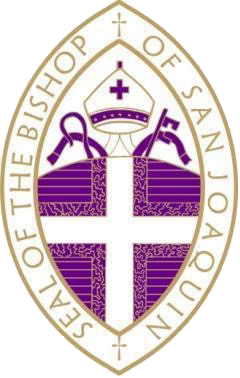 Send your donations to The Episcopal Diocese of San Joaquin, 1528 Oakdale Road, Modesto, CA 95355. Please write Yellow Bags in the memo line. Thank you. Need an inexpensive gift for your family or a unique gift for your office mates? Never Fear, the Cookie Walk is here! St. Paul’s, Modesto presents their annual Cookie Walk. December 12th from 9am-3pm and on December 13th to 12 noon. 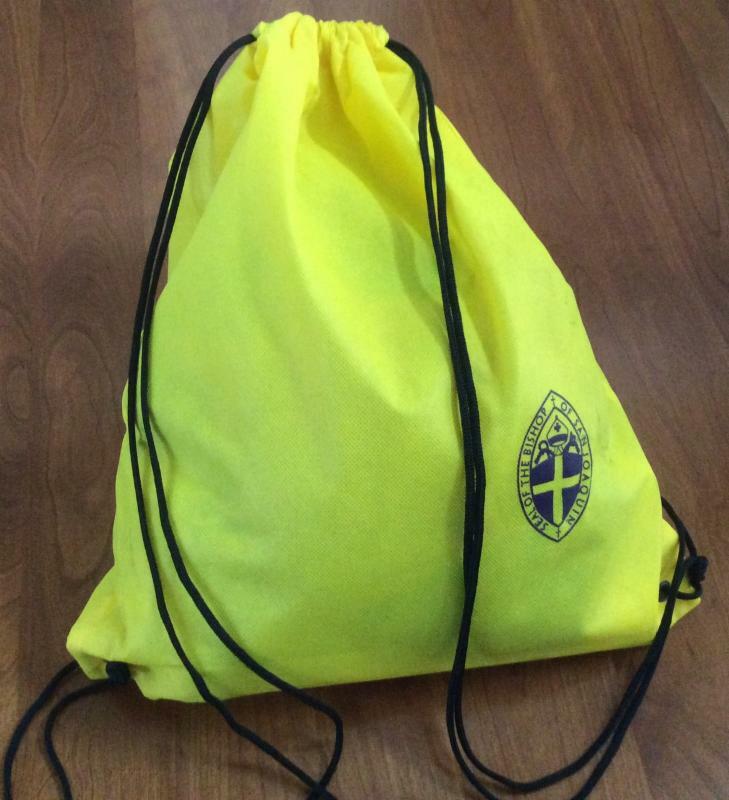 Stories of the Bag, Missional Days, Special Events Articles can be submitted to the Diocesan Office atemeyer@diosanjoaquin.org. All submissions are due no later than the Tuesday before the Friday Reflection. Pictures submitted are to be in jpeg format and forms to be attached to the Friday Reflection are best in PDF format.